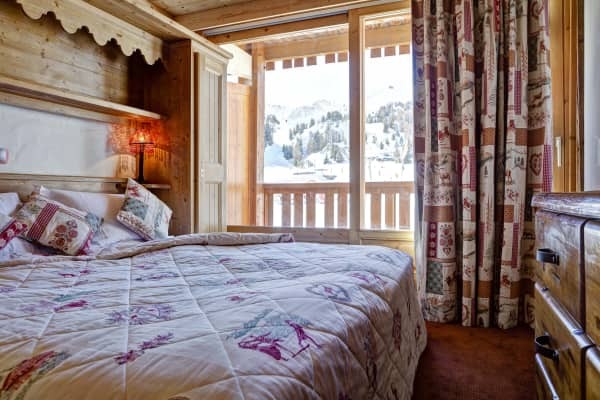 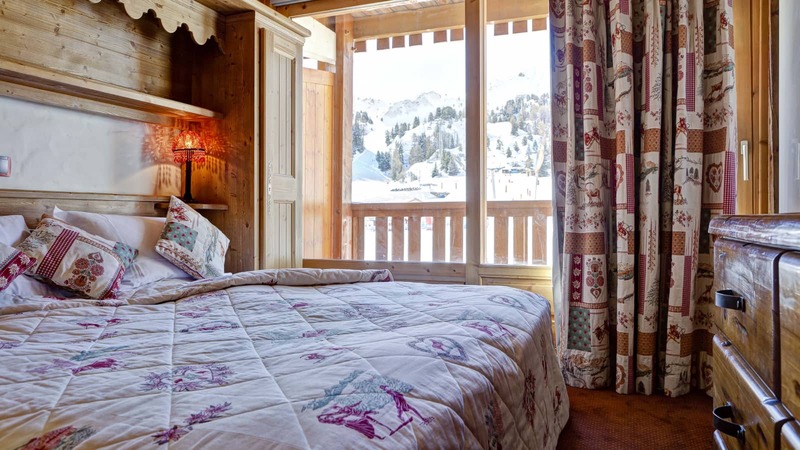 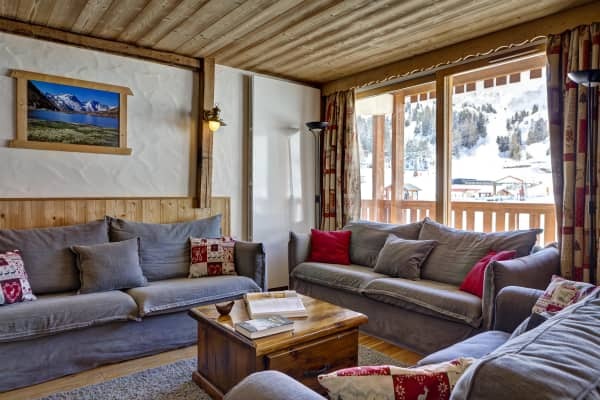 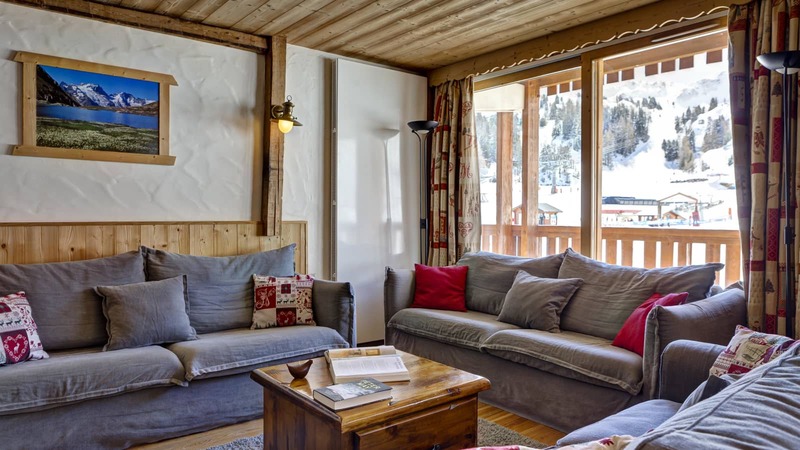 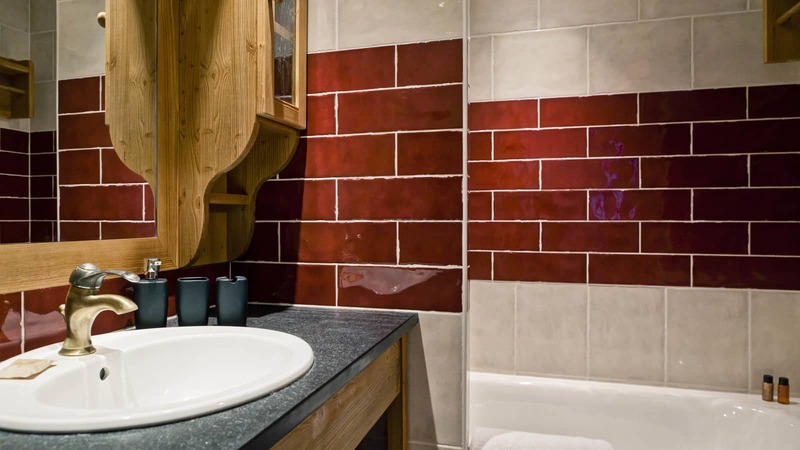 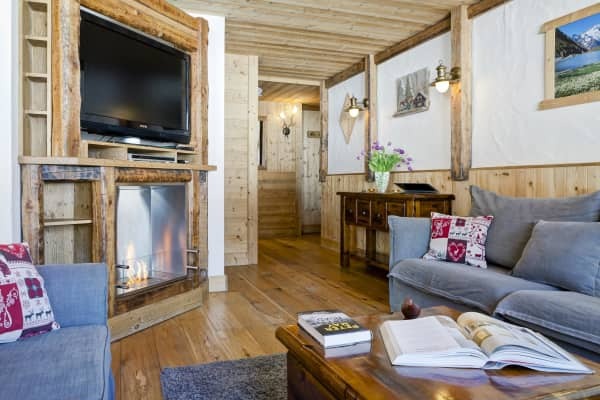 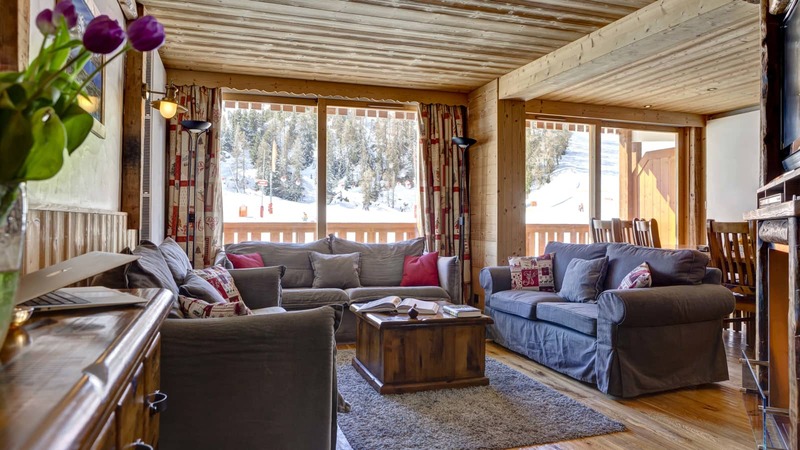 Situated at the very heart of Plagne Centre and with a wonderful cosy interior, complete with a warming fireplace, Chalet Lily offers beautiful alpine-style living, without compromising on the location. 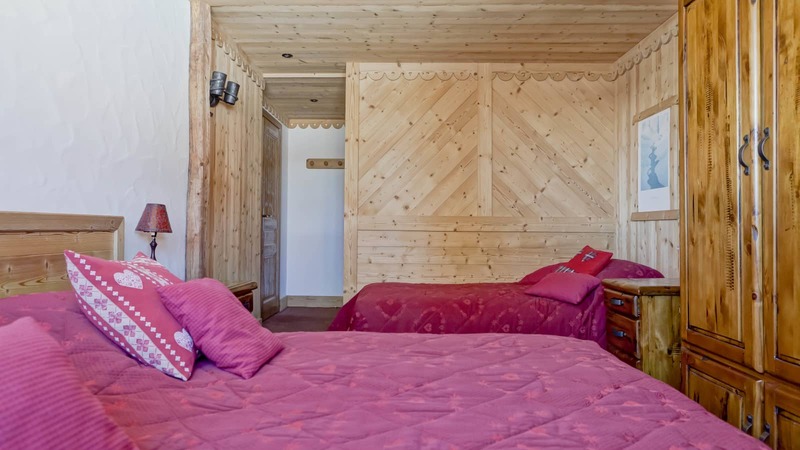 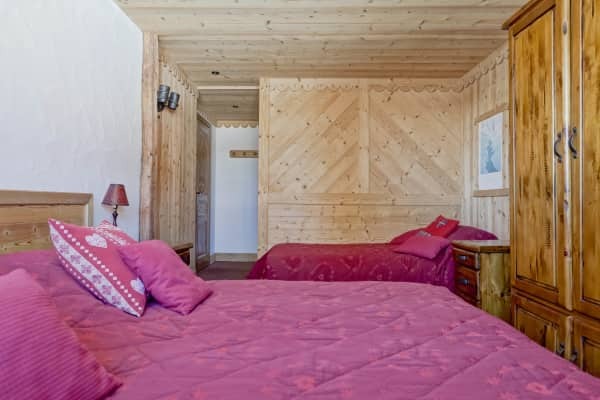 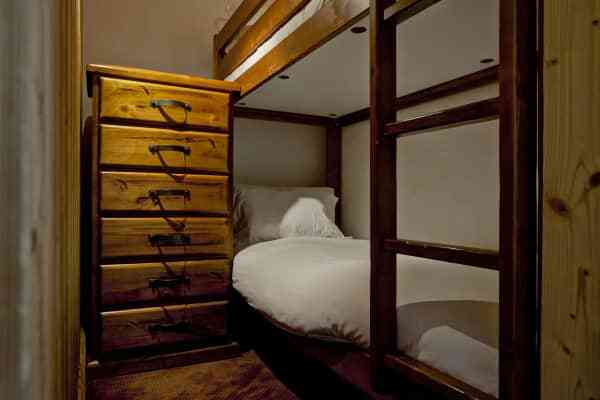 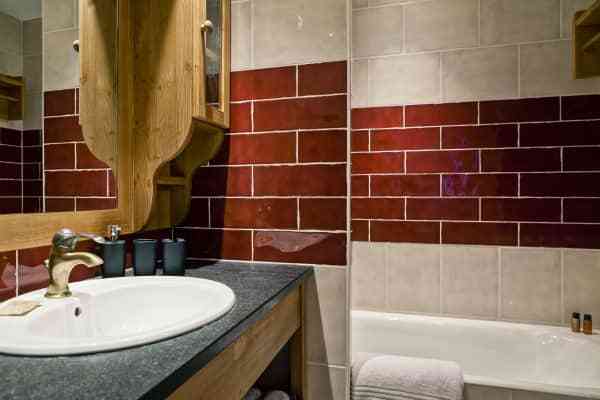 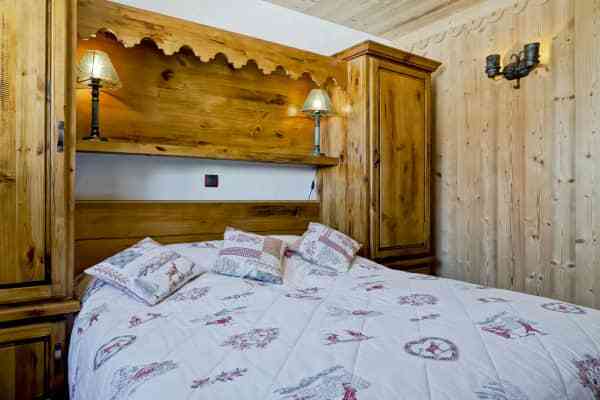 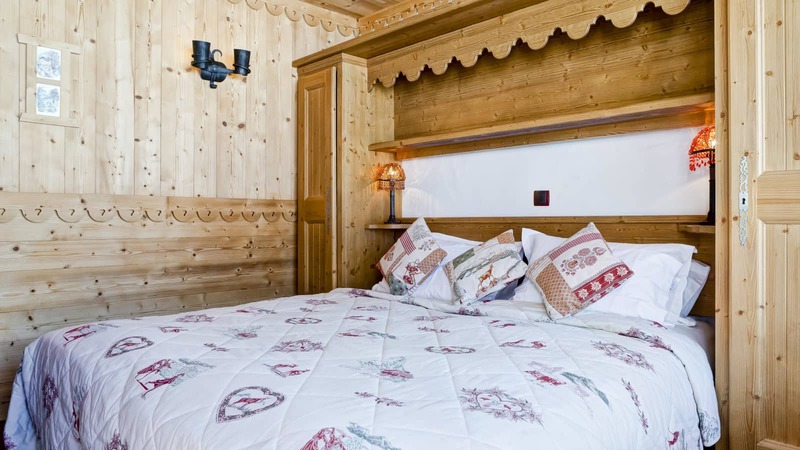 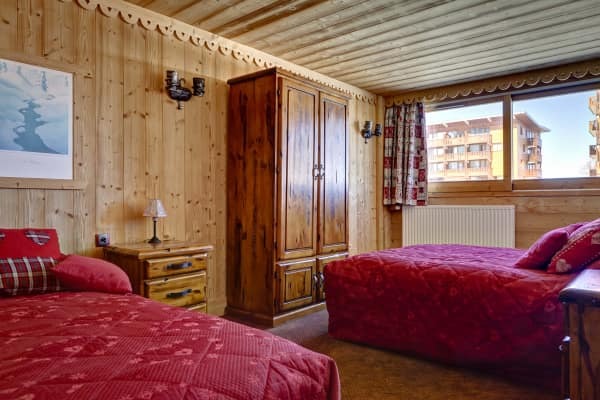 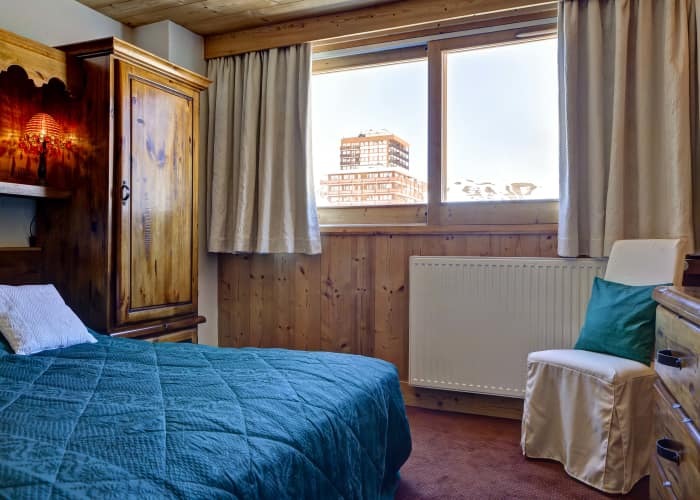 This comfortable, warm and super cosy chalet style apartment has charm in spades and an enviable location. 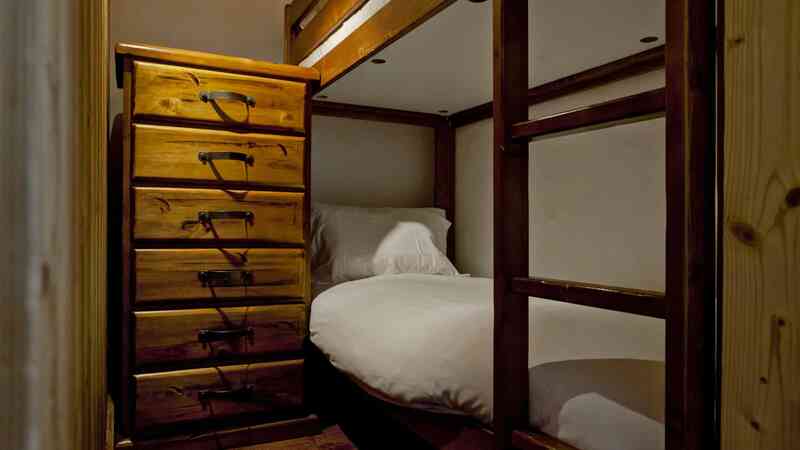 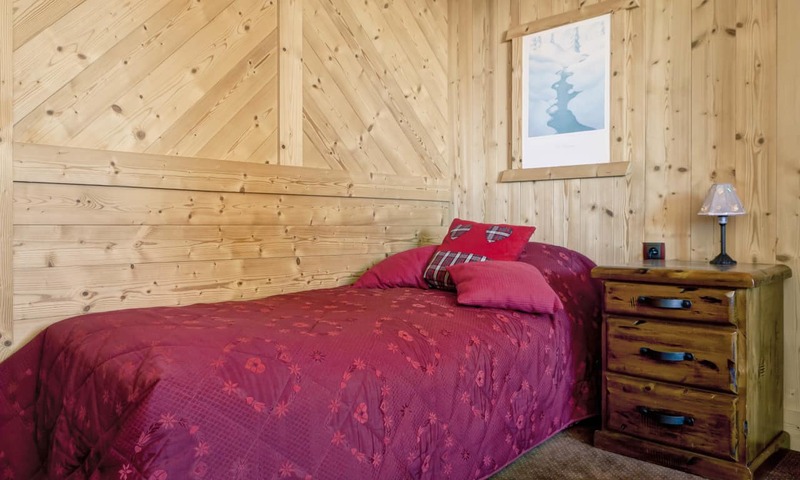 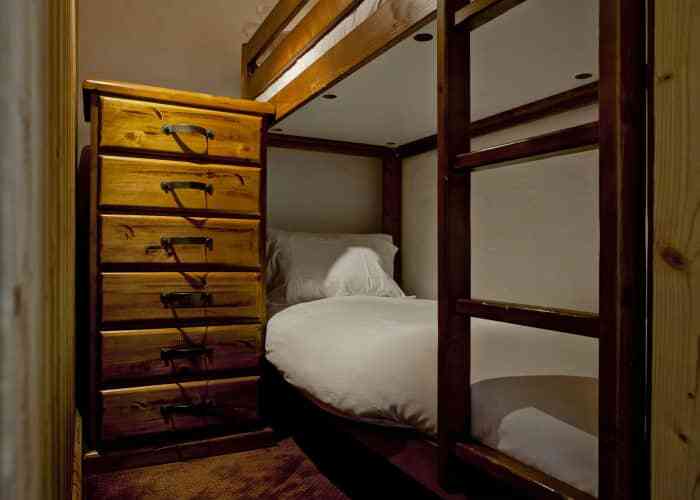 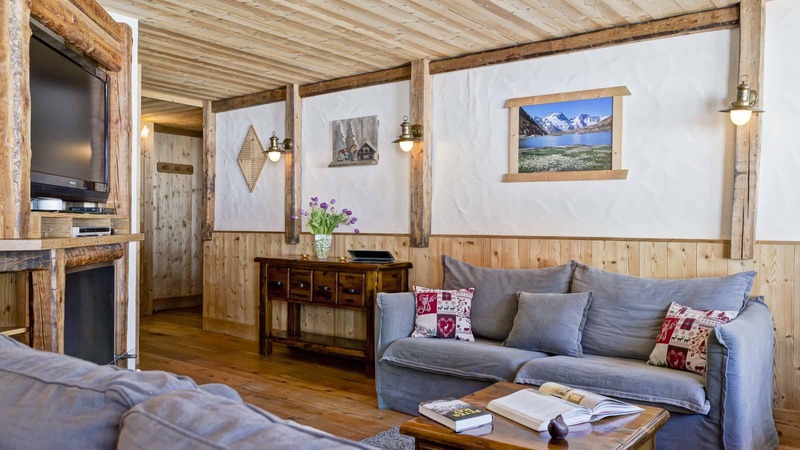 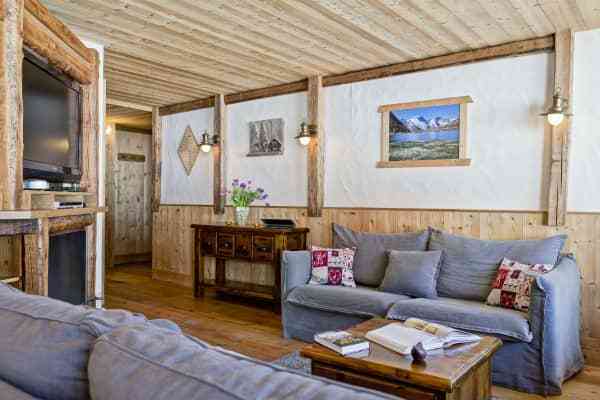 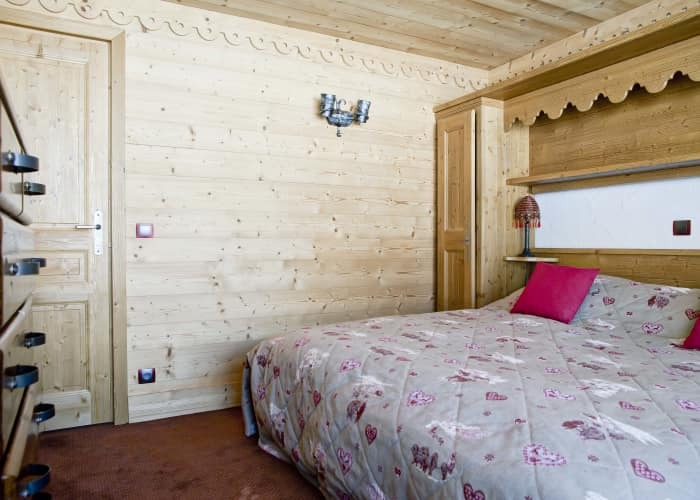 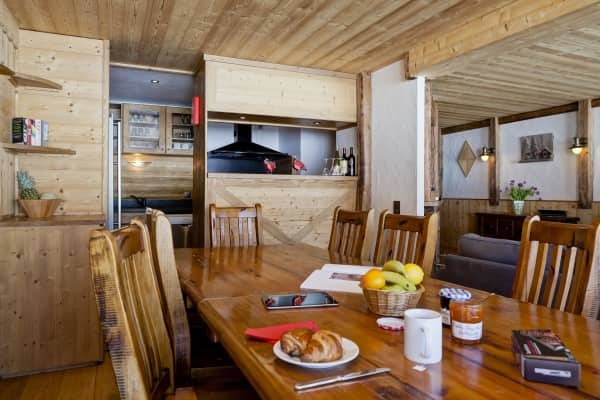 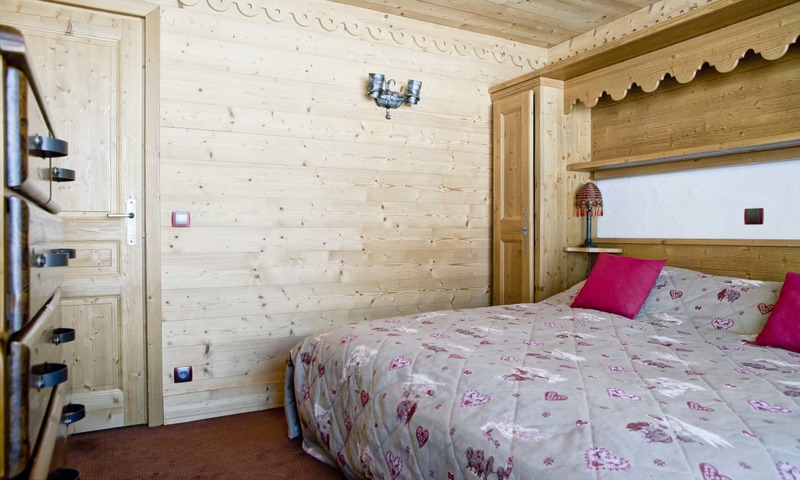 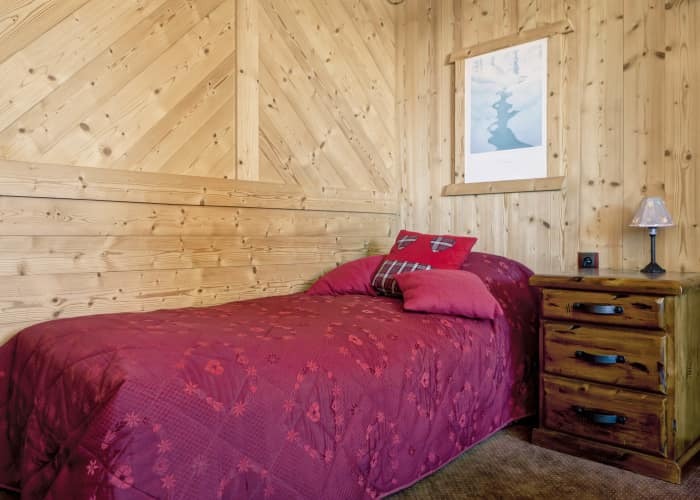 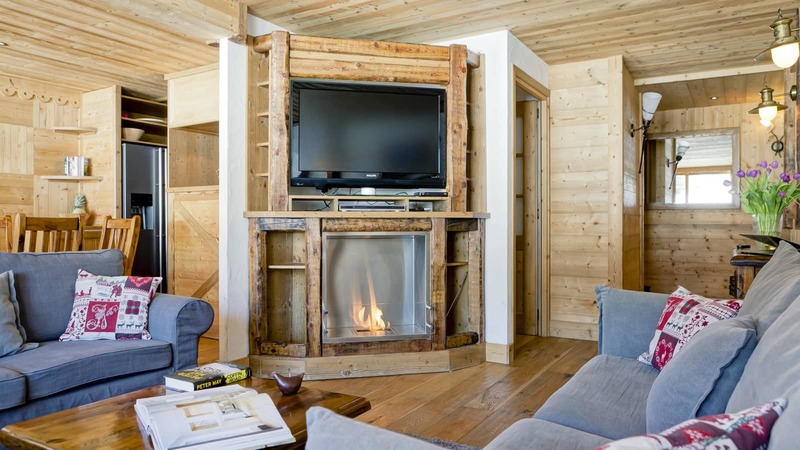 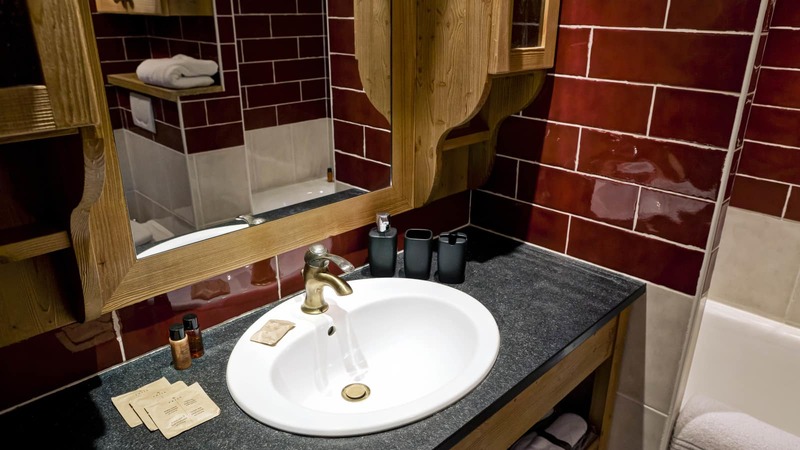 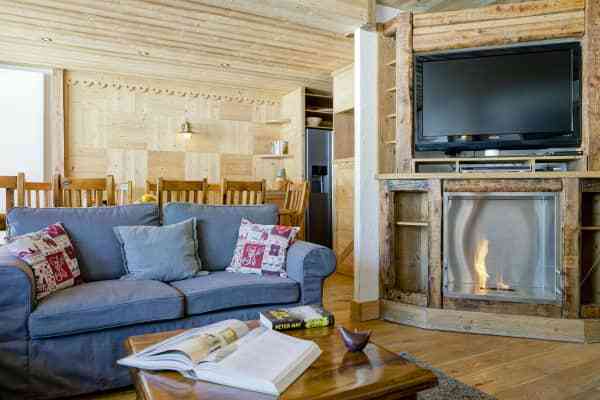 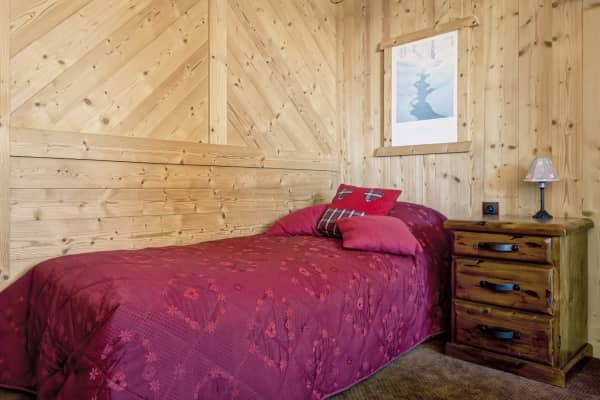 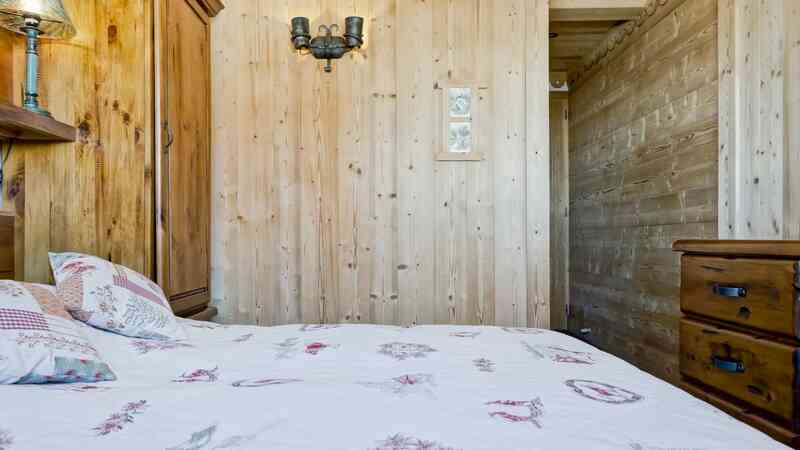 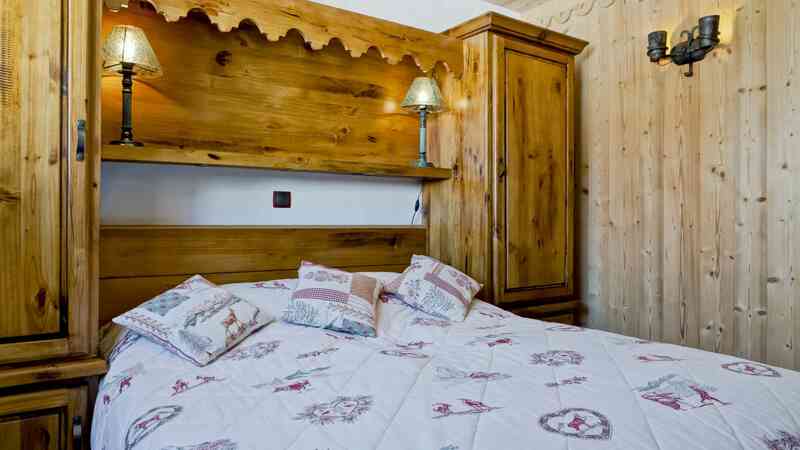 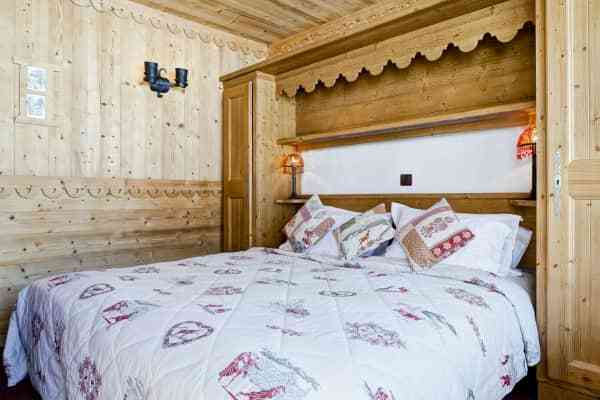 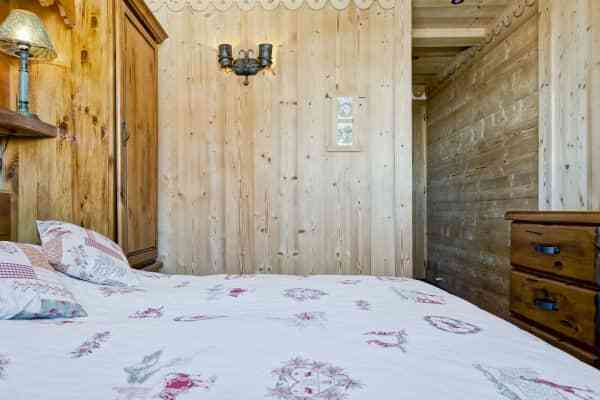 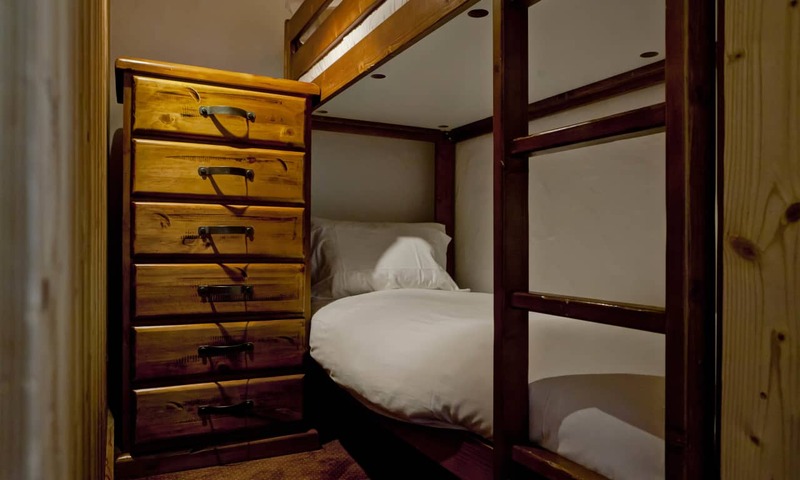 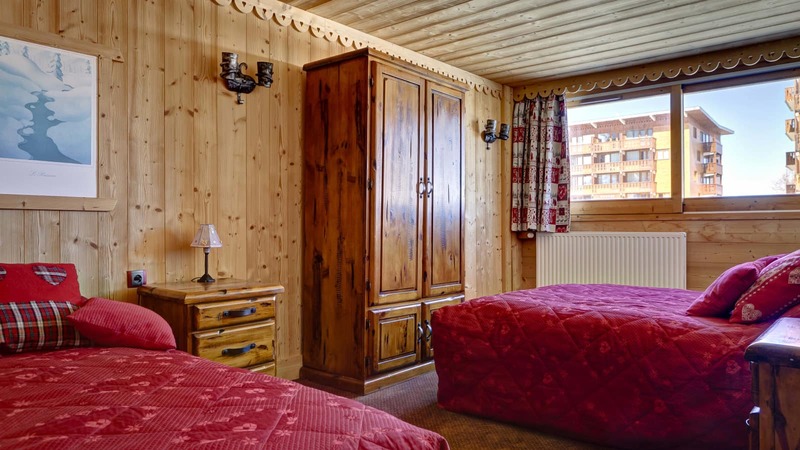 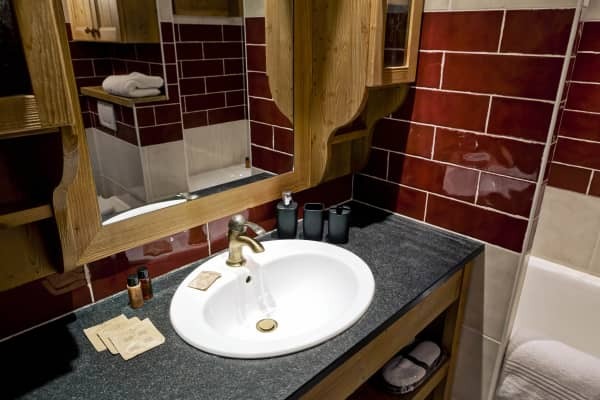 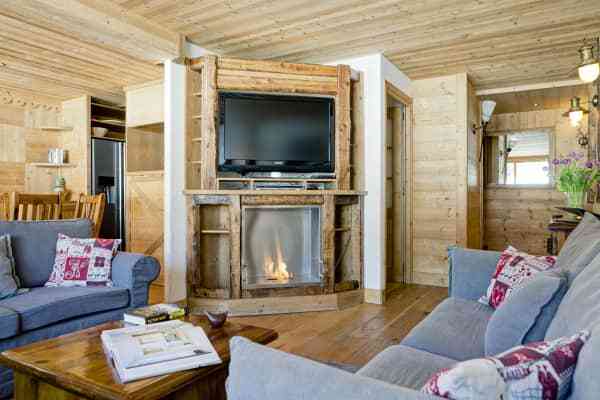 Decorated in a Savoyard style, its oak cladding gives the apartment a wonderful alpine cabin feel and it is an inviting and welcoming retreat after a challenging day on the slopes. 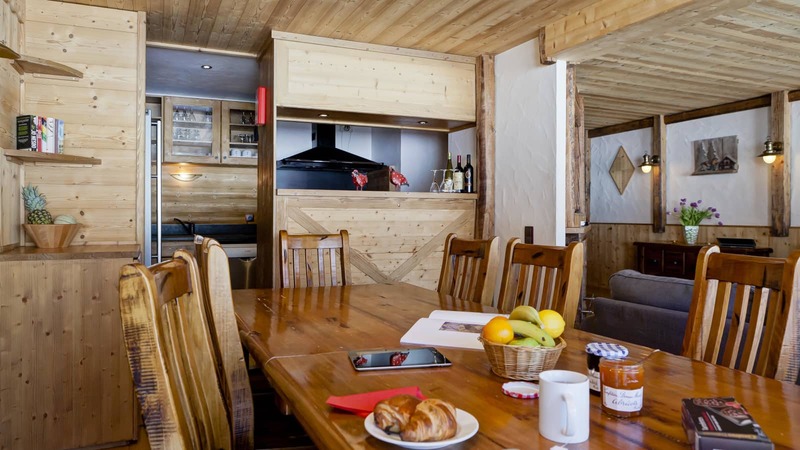 With a spacious living area, Chalet Lily is a sociable apartment where guests can sit together to enjoy their breakfast and evening meals. 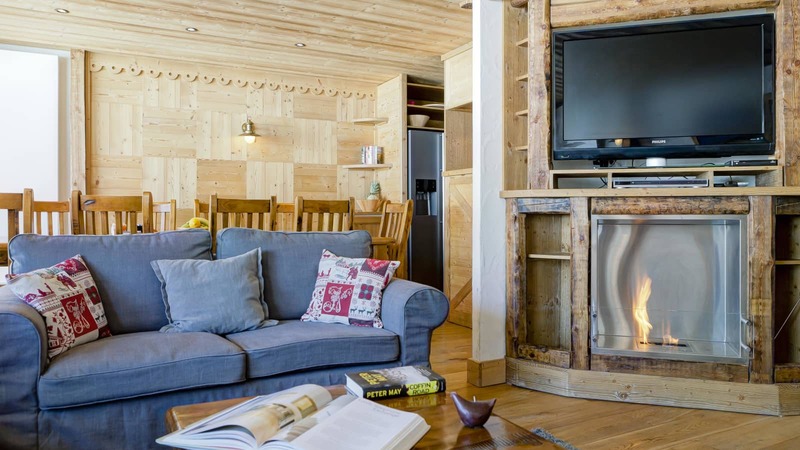 There is also access from the living area to a south facing balcony where you can take a break to enjoy a hot drink and perhaps a slice of homemade cake in the afternoon. 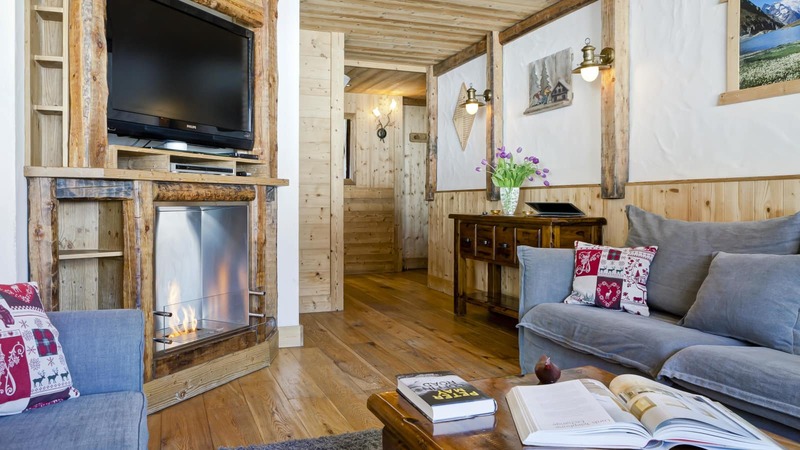 Curling up in front of the log fire is also an option and there is plenty of comfortable seating to choose from. 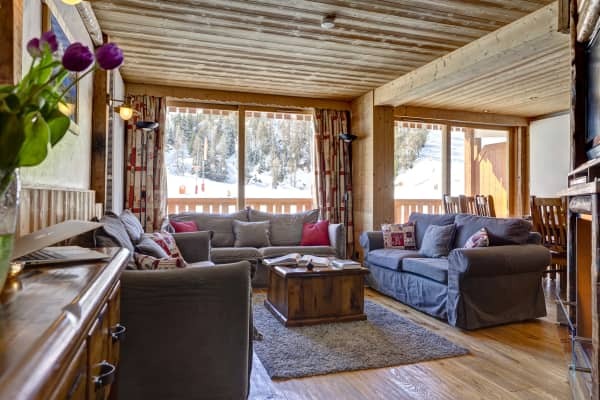 Overlooking the Plagne Centre pistes and the ski school meeting points. 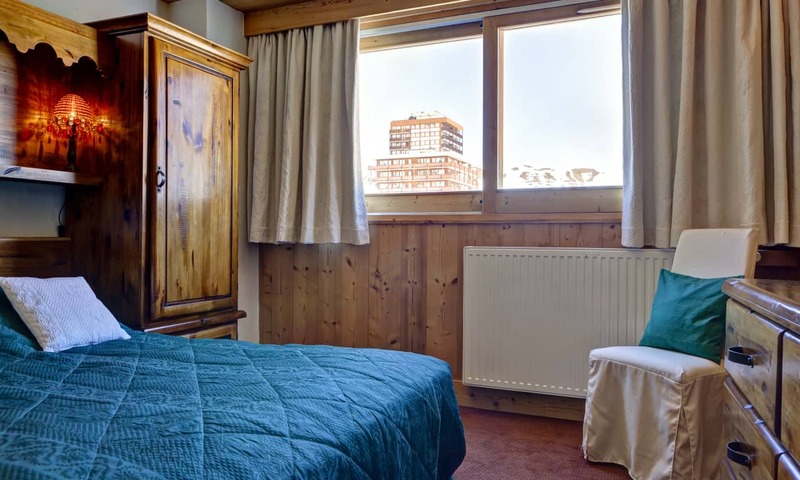 You are also just beside the shops, bars and restaurants that the area offers.